By default, XGantt uses a calendar that defines a 5-day week with working times 0-24 h from Monday til Friday. This calendar could be used for highlighting workfree periods in the Gantt chart background by colors, e.g., with gray. 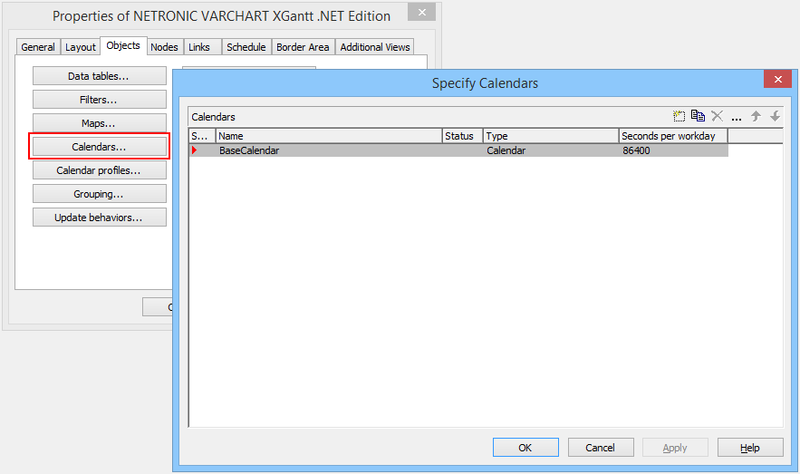 The default calendar can be edited in the Specify Calendars dialog by clicking . Moreover, the button allows you to create new calendars. With this, you can individually define different calendars for different shifts ... and can apply them to different resources, resource groups or even tasks. Now, we'd like to define 1 May, 2015 as a workfree day. 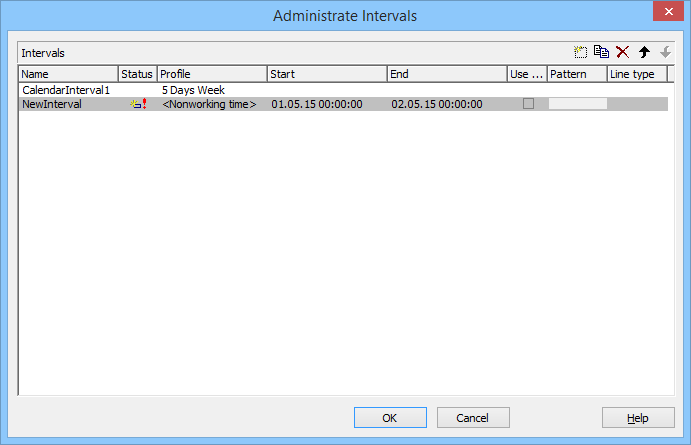 Open the Administrate Intervals dialog by clicking the button and click to add the interval NewInterval. 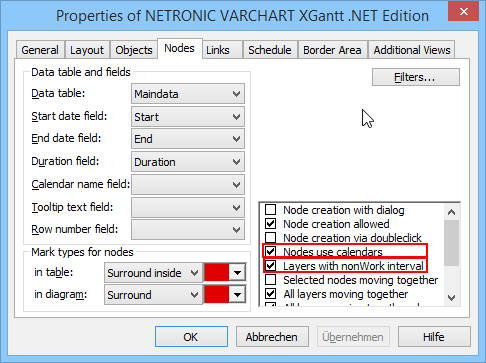 New intervals have the profile <NonworkingTime> by default so that in our specific case no changes need to be made. Enter start and end date according to the screenshot below and confirm with OK.
Click to open the EditTimeScaleSection dialog. Make the settings as shown. The visual interruption of the activities by non working intervals can be displayed by setting the option Layers with nonWork interval. However, this option only takes effect, if the activities depend on a calendar. To link nodes to a calendar, you can set the option Nodes use calendars. If not specified otherwise, the default calendar will be used.